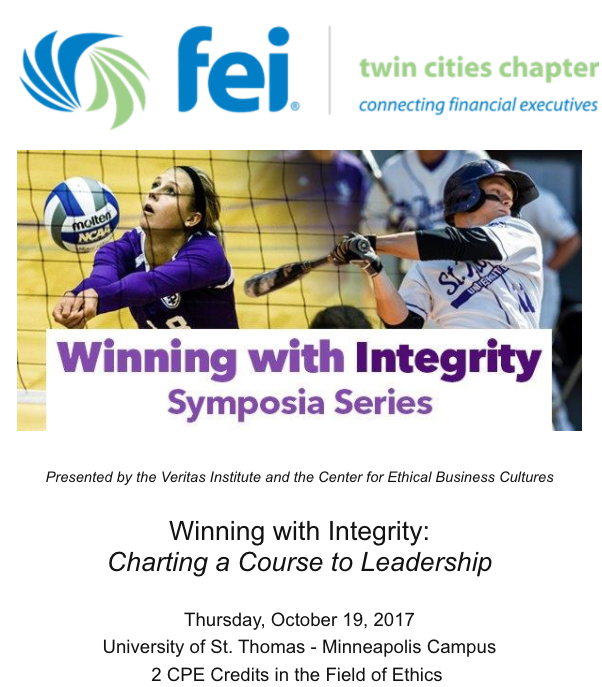 Winning with Integrity is an annual conversation on topics in sports, ethics and principled leadership. The program features speakers and panelists with important insights for organizations as they strive to develop future leaders and overcome organizational and ethical challenges. This series emerges from issues reverberating across the world of sports with questions about ethics and leadership that have implications for all kinds of organizations. Speakers and panelists highlight lessons learned through the lens of sports and the business of sports, lessons from victory and defeat, teamwork and resilience, overcoming ethical challenges and organizational barriers, and mentoring future leaders. In partnership with The Center of Ethical Business Cultures as the University of St. Thomas, FEI members are able to attend at a reduced rate.